Whether you are part of a small or large business, exhibiting at trade shows is a tremendous marketing strategy to gain more clients and sales. It is also a strong force for building brands and making your business known. Exhibiting at trade shows can be easier when you have a convenient checklist that covers the important items like exhibit booths and marketing materials. We’ve compiled a timeline that will help you schedule your trade show exhibit things to do. Before you start exhibiting at trade shows, you need to have a plan in place. Spend some time thinking about why you want to exhibit at these events, what you hope to accomplish, and from which shows you may get the best results. Make a final decision on the shows to exhibit at in the next year. Determine the floor space area that you will need. 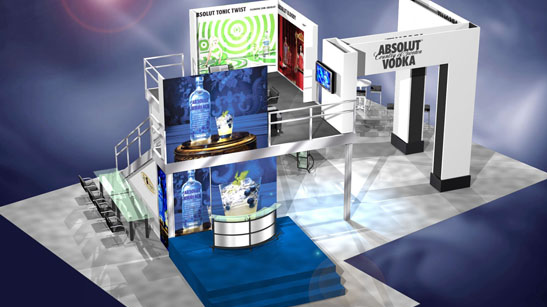 Evaluate your exhibit needs and marketing objectives. 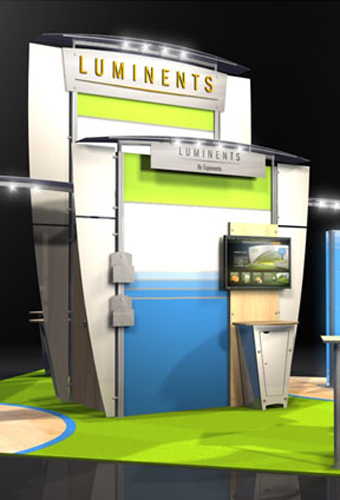 Review your exhibit booths and decide whether upgrades or new components will be needed. Choose the vendors that you will use for all of your trade show needs. Reserve booth space and pay any deposit required. Submit your completed Exhibitor Appointed Contractor form, electrical order, and any special requests or requirements to the contractor for the show. Order any items, services, and equipment needed. This should include specialized lighting, signage, carpet, coat racks, rental furniture, phone lines, catering, card readers, Internet access, cleaning services, AV equipment, plants, and anything else that needs to be ordered. At tradeshows we try to grab a good location. We use unique color schemes. Our data-driven targeting and social media strategy helps us stand out. Order any promotional items and materials that you will need for your exhibit booths. This should include any printed materials, like brochures, flyers, business cards, and promotional gifts that will be given away to visitors or used as prizes. Pre show promotion is important when you are exhibiting at trade shows, and now is when you need to start letting everyone know about the event and your attendance. Schedule any pre show staff training and informational meetings. Reserve any flights, hotel rooms, transportation, and shipping that will be needed. Talk with the event coordinator about any publicity opportunities that the show offers. Create a binder for show staff that contains all relevant information that your staff may possibly need. This should include the cell phone numbers for all staff members, maps for the city and the event facility, lists of local restaurants, hotel arrangements, and other details. As part of your trade show planning you will need to create and order literature from a trusted printer. This is something that should be done as soon as possible to avoid any extra charges or rush order costs, and if you wait too long you could be missing the important items that you need to sell your products effectively. Read more of our article, 15 Things you need to know about Trade Show Planning, here. Put together a box of supplies for exhibiting at trade shows. This should include pens, pads of paper, tape, safety pins, first aid supplies, grooming and hygiene products, and even extra business cards. Ensure that all of your marketing items and promotional items are scheduled for delivery. If not check on any missing items. Verify all orders that you have previously put in. Double check all travel and lodging reservations. Make sure that all of your exhibit booths and display items are still in good shape. Arrange for any set up and tear down help that will be needed. Prepare and send press releases to applicable publications. Contact existing clients to let them know you will be at the trade show. When exhibiting at trade shows always wear comfortable shoes and clothes. Remember that you will be standing on your feet and walking around all day long so comfort is important. Make sure that your exhibit booths are always fully staffed. Stay hydrated. Drink several glasses or bottles of water during the day to prevent dehydration. Get plenty of sleep each night so that you are fresh and at your best during the event. Part of exhibiting at trade shows is networking, so get outside of your booth at times and make an effort to meet others. Use drawings, presentations, and other activities to draw visitors and generate leads as well as making sales. When visitors show up at your exhibit booths you should immediately place each person into a value category for follow up. Source: 6 Tips on Trade Show Follow Up to Get Results. Click here to read the complete article. 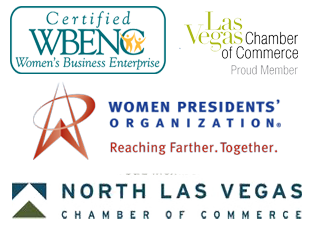 Exhibiting at trade shows is just part of the process; you also have to follow up after the event is over. Failing to follow up could cost you in terms of sales and brand recognition. Analyze your event performance and results. Start planning your next trade show exhibition. Exhibiting at trade shows can be less stressful when you have a schedule and list of items to do. Following our timeline is a great way to keep on track and not be rushed at the final moments. What other items should be listed on a checklist for exhibiting at trade shows?